The Hard Deck: So...yeah. I kinda lied. Took a few weeks off of WoW. Going to play kind of off and on. My stress level since i stopped raiding like it was a job is INCREDIBLY less. Its nice. Although, big milestone. 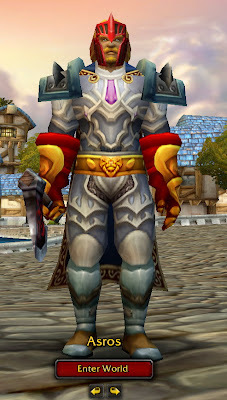 My first character i ever made hit level 60. Heres the shot of him. On to 70....but not stressin out anymore. If im still havin fun playing by the time my account expires on the 5th of july, i might grab another month or 2. Well see how it goes.